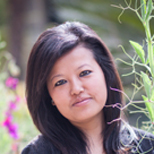 Bhawana Syangden joined ICIMOD in June 2011. Currently, she is working as a Programme Officer for Mountain Knowledge and Action Networks (MKAN). Prior to joining ICIMOD, Ms Syangden worked with the British Council Nepal as Projects Officer. She brings with her relevant experience in working with various INGOs mainly in the conservation field. Ms Syangden has worked for various projects with WWF Nepal, IUCN and SANDEE . She holds a Master's degree in Business Administration with a specialization in General Management from ACE Institute of Management. With more than nine years' of progressive work experience in different international organizations and being involved with several projects, she is adept in program development, oversight and evaluation.